As a thank you for taking the time to learn about Honey Kix cereal, MyBlogSpark is giving one of my readers a prize pack just like the one pictured below. It includes a coupon for a free box of cereal, a honey jar, a cereal bowl, a container to take your cereal and milk on-the-go, and another great container to keep cereal fresh at home. To enter, please leave a comment on this post telling me how you get your mornings off to a good start. Blog about this giveaway, linking back to this post. Add my blog to your Technorati Favorites by clicking on the button in my sidebar. Please leave a separate comment for each entry and leave a valid email address or blog URL in your comment. US entries only. This contest ends at 11:59 pm EST on August 13th, 2009. Winner will be chosen at random, and has 3 days to claim their prize. Products provided by MyBlogSpark. Thank you! We get mornings off to a good start with a good breakfast and (for Mom) hot coffee! .-= Melissa´s last blog ..PakNak – Review and Giveaway =-. It is just me and my son (11) so I try to make it fun like when I was a kid. He has always liked me to do the itsy bitsy spider up his back. that still gets him laughing. .-= Charlene´s last blog ..The Happy Scrappy Quilt Giveaway! =-. .-= Charlene´s last blog ..~~Riding with no hands giveaway~~ =-. I also have your button on my blog. .-= Jenna Z´s last blog ..Fair Time! =-. I start my mornings with a vitamin pill and a bowl of whole-grain cereal. .-= valerie2350´s last blog ..Giveaways at Wishing Penny! =-. We get mornings off to a good start by always eating breakfast and setting out our clothes the night before. Hot coffee and my favorite cereal gets my mornings started! .-= debbie lynne´s last blog ..Thank you Shamu! =-. I personally get my weekdays off to a good start by doing weight training or a cardio workout at the YMCA. I miss it when I miss a day. .-= Matt´s last blog ..Thankful Thursday "C" =-. I just subscribed to your feeds in google reader. I’m following and just tweeted. I added your button on my blog. We prepare everything we can the night before. Clothes are laid out, lunches packed, and coffee set on a timer. My daughter and I get our mornings off to a good start by eating a relaxing breakfast together! .-= Barbara Leatham´s last blog ..CLUE:Harry Potter Edition Giveaway at She Scribes =-. I start off the morning with a cup of hot black coffee. I need my caffeine! I get my mornings off to a good start by preping as much as possible the night before. I do that especially if my husband has to be to work early so we have time to talk before he leaves. Thanks for the chance. I get my mornings off to a good start by getting myself prepared before everyone else is awake. If I’ve had my shower, prayer, and devotions before everyone else is buzzing, I can focus on them. If I haven’t, everything is a complete mess! .-= Spoodles´s last blog ..Crayola Giveaway =-. .-= Spoodles´s last blog ..Honey Kix Giveaways =-. .-= Leslie M´s last blog ..We have some Winners Folks!!! =-. To get going I have to eat something! I also enjoy a nice cup of coffee! .-= Donna K´s last blog ..What Does Purity Mean? =-. We start the night before. Gracie picks out her clothes the night before. It saves a ton of headaches the next morning. .-= Sonya Sparks´s last blog ..Win a Step 2 Wagon For 2 =-. I make fresh-squeezed orange juice, and that kickstarts the day nicely! I need music – it puts me in a happy mood , while I eat breakfast and always read the cartoon section of the newspaper FIRST. We turn on classical music and have a yummy breakfast! A good cup of coffee helps start the day off right! I try to wake up in a good mood. A nice splash of cold water helps too. the best way to get the morning off to a good start is to get prepared at night the night before- setting out backpacks and going as far as setting out the table with bowls, sppons and cereal. The less we have to do in the morning, gives us more time to see eachother and at least say have a great day and change schedules. We get everything out the night before-clothes, papers signed. We have items that go to school in one central location. I get my mornings off to a good start by waking up about 45 minutes before my kids and eating my own breakfast in peace while reading my favorite blogs and then I go wake them up. We get our mornings off to a good start by having everything ready the night before! Caffeine makes for a good start to the day! We all eat a good breakfast. I get my mornings off to a good start with a cup of coffee!! I get my mornings off to a good start by getting everything organized the evening before. For me, it’s Diet Mountain Dew! I get my mornings off to a good start with a yummy and healthy breakfast of french toast, jam, fresh fruit, milk and sunnyside up eggs! I get my morning off to a good start by eating a healthy breakfast of whole grain bread or cereal and some fresh fruit! To get my mornings off to a good start, I take a shower as soon as I wake up to get me refreshed and energized and then eat a bowl of cereal or oatmeal right after to give me the nourishment that I need. i try to get as much done the night before so i have less to do in the morning. then i make sure i have breakfast. otherwise i’ll never make it through the morning! I believe in getting as much ready as possible the night before. Then I believe that setting a happy mood with good morning kisses and a positive attitude will make everyone have a good morning. THanks. I get my mornings off to a good start by listening to some music to wake me up and get me going. I pack lunches the night before and make sure everyone is up early enough that we don’t have to rush! .-= Sonya´s last blog ..Back to School Shell Gift Card Giveaway! =-. We’re actually pretty good in the mornings. We prep everything–and I mean everything–the night before. Clothes, socks, underwear, lunches, backpacks, what’s-for-breakfast, etc. There are NO changes allowed in the AM, and the TV goes on when everything necessary is finished. Works pretty well! I get my mornings off to a good start by doing 50 push-ups and 50 pull-ups. We get our mornings off to a good start by having different jobs. My husband gets the kids and changes them while I get breakfast ready. By the time they get to the dining room I have their breakfast on the table. .-= Amanda Wilmering´s last blog ..Touch a Truck aka Throw a Tantrum =-. I get up an hour before everyone and have a couple cups of decaf! Then get breakfast ready for the kids! We prep as much the night before as we can- coffee ready when the alarm goes off, lunches started, backpacks packed etc… makes life so much easier. 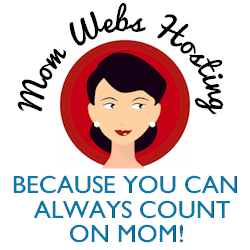 .-= Dddiva´s last blog ..Geeky Mommy goes overboard Wordless & Mostly Wordless Wednesday =-. I do as much as possible the night before!! When I have free time I make pancakes, french toast and waffles I then freeze for on those days where we don’t have very much time for a slow sit down breakfast. Also have a container or folder for each child for papers going back to school and homework. Much of the mornings are then relaxed and great. Well, after I take the dogs out, clean the litter boxes, and feed & water the pets, I try to remember to eat something for breakfast! having my clothing ready the night before helps get my morning started and coffee. We not only lay our clothes out the night before but we also set out our breakfast bowls and put our work and school gear by the front door! We get our mornings off to a good start by waking up in plenty of time to get everything done! I’m a stay-at-home mother who homeschools. So, we’re pretty at ease and flexible with morning routines. Mostly, we eat eggs, sausage, and cheese combined. I allow myself several times of pushing the snooze alarm so I can get that half-awake sleep. i try to clean up the house and do everything before i go to bed so that the morning will go smoother. I get everything ready the night before! I put together my outfit the night before. .-= autie´s last blog ..Wordless Wednesday =-. I get my mornings off to a good start by going to bed early. When we are going to have a busy morning, we get it off to a good start by getting as much stuff ready the night before that we can – clothes pulled out, bags packed, lunches made. We get all we can done the night before. the night before, i put everything i need for the next day (purse, car keys, grocery lists, homework, etc.) on the kitchen table. the next morning, we can eat breakfast in peace with no rush. I take a warm shower and have 2 cups of coffee. I have subscribed by a google reader. Following you on Twitter (id- checkkers) & a Tweet! I have to have a glass of tea before I can get things started. I get everything ready the night before. We get our mornings off to a great start with a healthy filling breakfast. I lay out clothing and paperwork the night before. It takes the hurry and worry out of what to wear and where things are in the mornings. I get my morning off to a good start with a nice hot cup of tea and a shower. After that I’m ready to face the day! I start my morning with breakfast and a shower. Without a doubt a good morning starts off with coffee in this house! .-= Tammy´s last blog ..Hello Dreamer Party Kit Giveaway =-. We get everything out the night before,makes for an easier morning! Get everything done the night before including showers or baths. A nice relaxing bath can mean better sleep at night and being more refreshed for the next day. I get my mornings off to a good start by getting up a little earlier than the kids and meditate and take my time to drink my tea before the craziness starts! I start my day with a good breakfast and make sure to include some protein. That helps me make it through to lunch without crashing or getting shaky. i start the day with some coffee and a little me time, that way i am prepared for whatever the day sends me. I get my mornings off to a good start by getting up a half hour before everyone else. That gives me time to enjoy the quiet and sip a cup of coffee while I plan out my day. Honey Kix! What a great idea! Honey makes everything better. I usually mix several different kinds of dry cereal together for my breakfast and top each bowl off with a sliced banana or some blueberries. Yum!!!! Mornings are off to a good start when everyone has a filling and nutritious breakfast! Waking up in plenty of time to not be rushed. Cereal, fruit & the smell of coffee! Thanks for the giveaway! I get my morning off to a good start when I wake up early and play with my dogs before and after our walk. I can’t get off 2 a good start in the morning with out my 1st cop of Joe, after that it is on! We put out our clothes the night before. Hot breakfast and a cup or 2 of coffee. Follow on twitter & tweeted @ http://twitter.com/Naddez. .-= Naddez´s last blog ..ShopWiki.Com =-. Already have button on my blog @ http://naddezsgoodycorner.blogspot.com. I set the timer on my coffee pot. .-= Heidi´s last blog ..Baby Harrill Review and Giveaway =-. We get our mornings off to a good start by laying our clothes out the night before, getting enough sleep and trying to have breakfast before we leave. Thank you for the contest! A bowl of cereal and a cup of tea with honey. Sometimes pancakes or french toast if I am feeling particularly ambitious. Love the new Honey Kix. Thank you for the fun give-away. I get my mornings off to a good start by having a bagel or fruit and a glass of oj. To enter, please leave a comment on this post telling me how you get your mornings off to a good start. I start my mornings with regular Kix cereal or Cream of Wheat , fruit, milk and some green tea. I don’t . I’m not a morning person. I get my mornings off to a good start by doing my stretching exercises and then reaching for that cup of coffee. We prepare as much as possible the night before and wake up early to walk the dog and have breakfast. I start our mornings with cereal & choclate milk!